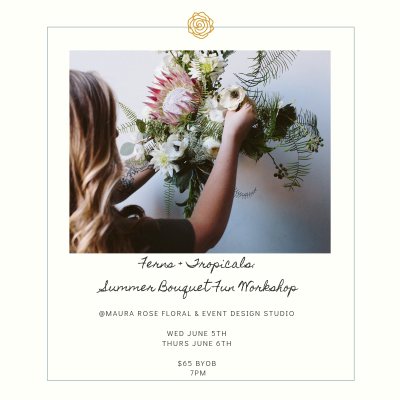 Join us for our first workshop in our NEW floral studio located in historic Yardley borough! 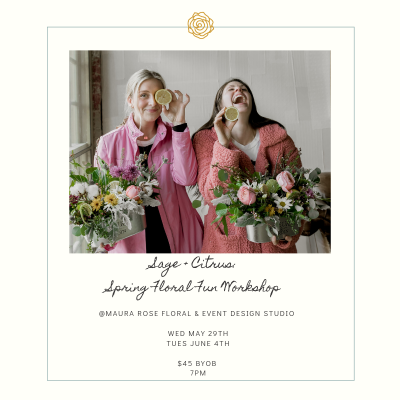 Get ready to be immersed in everything floral as we create a lush and lovely spring garden arrangement using romantic garden roses, locally grown wildflowers, fresh herbs such as mint + sage and amazingly aromatic citrus fruits. 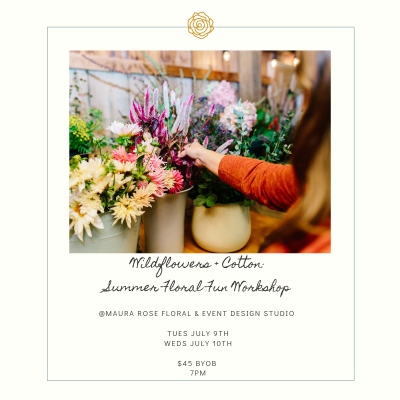 We’ll begin by chatting the principles of floral design and show you some tips used by the pros that you can bring back home for all your fresh-from-the garden arrangeing all season long. Your arrangements then wrapped up to go in a lovely European flower shop style should you choose to keep or give as a gift. We’ll begin by chatting the principles of floral design and show you some tips used by the pros that you can bring back home for all your fresh-from-the garden arrangeing all season long. You’ll be taught how to wrap your flowers in the ever sought after European flower shop style should you choose to keep for yourself or give as a gift! We’ll begin by chatting the principles of floral design and show you some tips used by the pros that you can bring back home for all your fresh-from-the garden arrangeing all season long. You’re creations will be wrapped to go in the ever sought after European flower shop style should you choose to keep for yourself or give as a gift! Join us in our NEW floral studio located in historic Yardley borough! Get ready to be immersed in everything floral as we embrace the Fall Equinox through welcoming it’s spirit and senses. 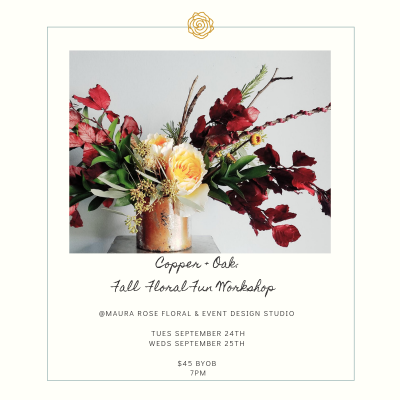 In this workshop, you’ll create a compote style deisgn featuring preserved oak leaves, dried seed pods and ghost pumpkins among seasonal blooms. We’ll begin by chatting the principles of floral design and show you some tips used by the pros. You’re creations will be wrapped to go in the ever sought after European flower shop style should you choose to keep for yourself or give as a gift! Perfect to display for your next host or hostess or to rest at your bedside table as you drift into dreams of scarecrows and hay bails. Who says fall decor has to be all spooky + drab! Let’s bring in some VIBRANCY to our autumn decor by creating a lush + lovely fall dried herb wreath featuring preserved roses. Perfect to place atop your door to welcome your trick or treaters this Halloween! 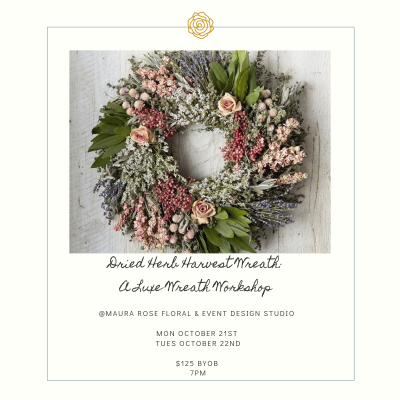 In this workshop, you’ll add to an existing preserved wreath to create a 12″ deisgn o fyour choosing. A variety of dried flora, pods and textiles will be available for you to choose from. P.S we may even have a little something spooky for you to add in as well, we just can’t resist! We’ll finish off our designs with a preserving spray to last for years to come!